The only word I can use to describe this market is FRENZY! Buyers are out in droves, looking to find their dream home. With interest rates expected to raise over 2017, buyers want to get into a home now while they can still afford to purchase. At the same time, sellers are hesitant to sell because they’re concerned about not being able to find a home to purchase. It’s really a Catch 22 out there. Figures from the Northwest Multiple Listing Service (NWMLS) for February and personal experience indicate record-low inventory is spurring multiple offers, rising prices, fewer sales, and frustrated house-hunters. I held an open house in February for a North Seattle home that I estimate had approximately 140 people through in the three hours I was there. That home received 25 hours and sold more than 20% over list price.I recently heard of a home on the eastside that had 55 offers. A check of Northwest MLS records dating to 2004 shows no other month when the number of active listings dipped below the 10,000 mark – until last month. At the end of February, there were 9,091 active listings in the Northwest MLS system, which encompasses 23 counties. That represents a drop of nearly 25 percent from the year-ago total of 12,107. This chart shows you the number of signle family homes for sale, in contract (pended), and sold for the city of Seattle. Homes for sale in February 2017 are down 7.7% compared to the last month and down 20.9% compared to 12 months ago. 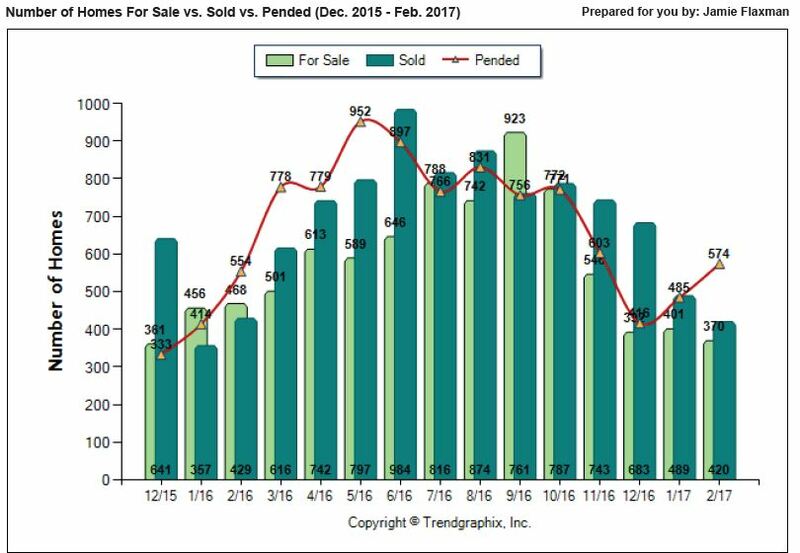 Home sales closed in February 2017 is down 14.1% compared to January and are down 2.1% compared to last year. Home in contract in February 2017 is up 18.4% compared to last month and up 3.6% compared to last year. This shows us that the demand is out there. Home prices in Seattle are up as well. 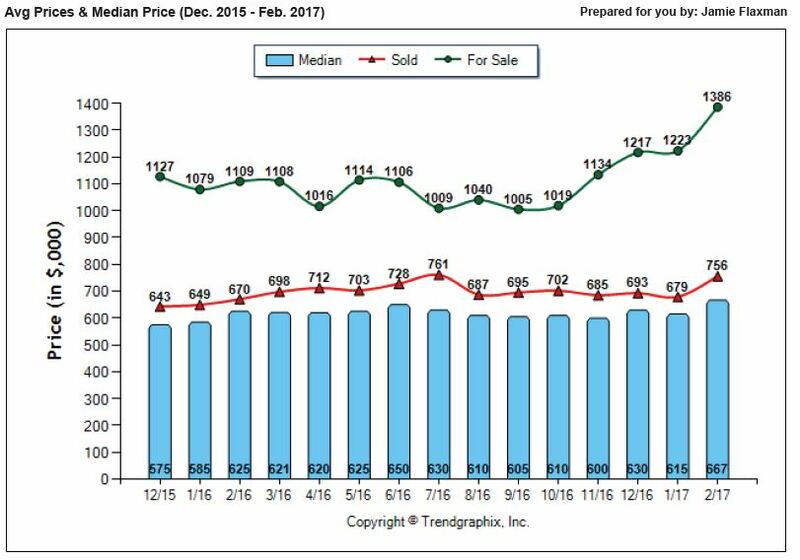 The median sold price is up 8.5% compared to January and up 6.7% compared to February last year. Average sales prices are up as well, 11.3% compared to January and up 12.8% compared February last year. For more information on the market or your specific home or neighborhood, give me a call/text at (206) 790-0081 or email Jamie@JamieFlaxman.com. Previous PostGetting to SoldNext PostThinking of Selling?